Find out why login and password errors are typically associated with internet browser settings. I receive an error logging into ICOTS after I successfully reset my password. What am I doing wrong? 1.) If the password was successfully reset, then that probably means the internet browser being used has the old password saved in its cache. The process is different for different web browsers, but this is how it looks for Internet Explorer: The user should try going to Tools -> Internet Options and click the ‘Delete’ button under ‘Browsing History’. On the window that pops up, make sure the ‘Passwords’ box is checked before clicking that delete button. This occurs when the user is using the auto-fill function in their browser and they use their email address to login to two different systems. 2.) If the password was not successfully reset, then the user is most likely selecting a password with 16 character or more characters. The problem is ICOTS doesn’t give the user an error message saying the password was too long, it just refreshes the page. Which most users would interpret as the password being successfully reset. Meaning the next time they try to log in, they’ll get the message to reset their password. The user should try again to reset their password and make sure they select one between 8 and 15 characters in length. If still unable to log in, a state administrator can check to ensure your account is active. 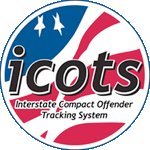 You can find your state's contact information on the ICOTS State Contact Page. When we receive the ICOTS Notifications "The account for User Name (username@doc.gov) requires attention. ", we forward the notification to the user asking them to log into ICOTS and reset their password. Within the last few weeks I've received several replies from users stating that they did log in. However, when I check ICOTS their account is still showing as Active but unused in over 90 days. At first I thought maybe it was user error and an isolated issue, but after getting this response from several users saying the same thing, I'm wondering if there's a glitch in the system. Will you please look into this?